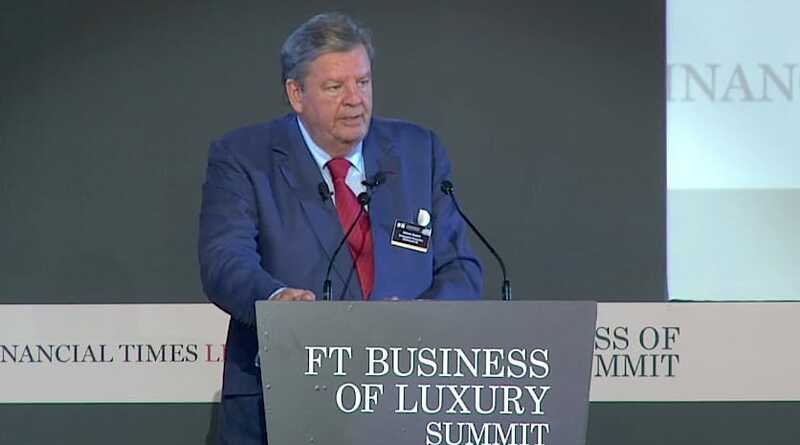 For the opening if this year’s FT Business of Luxury Summit the opening keynote was delivered by Johann Rupert, and what an opening it was. Johann has spent his entire life within the finance world, but he is most well known for being the chairman of the Richemont Group. In this opening keynote Johann talks about his experience coming up in the luxury industry, and then later sits down and talks about the current state of affairs. It truly is an honor to hear this gentleman speak, and even more of a treat when FT put the entire thing on Youtube for free. Don’t miss out on this talk and even feel free to let us know what you think in our comments below. Also don’t miss out the full talk Mario Testino gave at this year’s FT Business of Luxury Summit which took place in Monaco. You can watch it here.